Our product range includes a wide range of multiple effect evaporator, falling film evaporator plant, salt recovery evaporation plant, product concentration evaporation plant, multiple effect evaporation system with atfd and waste water evaporation plant. We are leading manufacturer, Importers and Service Provider of Multiple Effect Evaporator and our product is made up of good quality. 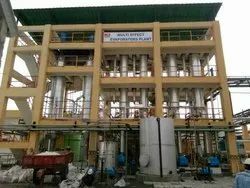 Multiple Effect Evaporator Plants Led by the team of efficient professionals, we are able to offer Multiple Effect Evaporator Plants to our clients. These plants are made using high-quality raw component in tandem with international quality standards. We are leading manufacturer, Importers and Service Provider of Falling Film Evaporator Plant and our product is made up of good quality. Being a noteworthy enterprise of this industry, we are offering a wide spectrum of Falling Film Evaporator Plant. The Liquid to be concentrated is preheated to boiling temperatures; even thin films enter the heating tube via distributors in the head of the evaporator, flow downward at boiling temperature and is partially evaporated. Spreading of liquid to each tube and forming the thin film across an area of the tube is the principle of falling film evaporator. It can be used for processing, which is sensitive, have a high rate of specific heat transfer, for low fouling, low viscous fluid & for non crystalline solutions. Falling Film Evaporation is a process controlled by two different heat transfer processes, i.e. Conduction and/or Convection across the film. We are leading manufacturer, Importers and Service Provider of Salt Recovery Evaporation Plant and our product is made up of good quality. 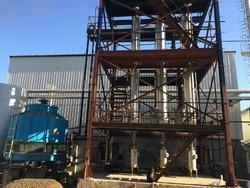 Salt Recovery Evaporation Plant is used to remove low boiler Solvents from Process Fluid. We are leading manufacturer, Importers and Service Provider of Product Concentration Evaporation Plant and our product is made up of good quality. We are leading manufacturer, Importers and Service Provider of Multiple Effect Evaporation System with ATFD and our product is made up of good quality. The outlet of ATFD will be in the Powder form having 10-15% moisture. This system will evaporate the solution by thin layer formed on the Surface. Based on application either recover solvent or dry product in important. ATFD is the ideal apparatus for continuous processing of concentrated material to dry solids. The hinged blades spread the wet feed product in a thin film over the heated wall. The turbulence increase as the product passes through the clearance before entering calming zone situated behind the blades as the heat will transfer from jacket to main shell the under the smooth agitation water/solvent will evaporate and liquid will convert to the slurry, to cake or too dry power or flex. The vapors produced rise upward, counter- currently to the liquid and pass through Cyclone separator mounted of vapor outlet of ATFD. Further, these vapors will be condensed in the condenser and recovered as condensate. The system will be Operated under vacuum for temperature sensitive products and atmospheric condition for normal drying. Chemical and Petro Chemical Industry: Drying of chemical and petrol chemical products to recover the powder of cakes. We are leading manufacturer, Importers and Service Provider of Waste Water Evaporation Plant and our product is made up of good quality. The offered wastewater evaporation plant is used to evaporate the wastewater. 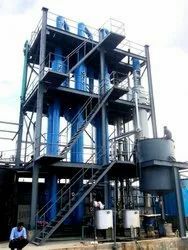 Our offered wastewater evaporation plant is very useful for the industrial sectors such as chemical plants, sugar industries, and wastewater treatment units. The manufactured evaporation plants are available at very affordable rates. We are leading manufacturer, Importers and Service Provider of Caustic Recovery Plant and our product is made up of good quality. 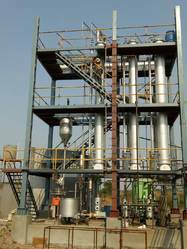 Our talented team of professionals is capable to provide Solvent Recovery Plant to clients at an affordable rate. 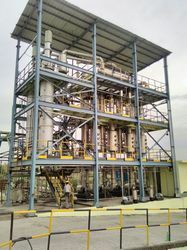 This Solvent Recovery Plant is extensively used in commercial and industrial sectors as per the requirements. 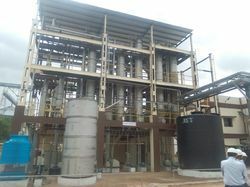 The offered Solvent Recovery Plant is easy to operate. It will recover caustic from the solution at its desired concentration. It will recover high Caustic having high level of Purity. 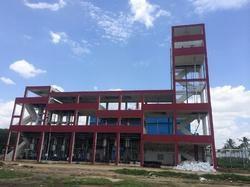 We are leading manufacturer, Importers and Service Provider of MEE Plant and our product is made up of good quality. 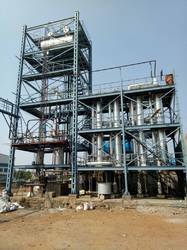 Leading Manufacturer and Exporter of MEE Plant such as Product Concentration Evaporation Plant, Waste Water Evaporation Plant, Falling Film Evaporator Plant, Salt Recovery Evaporation Plant and Caustic Recovery Plant from Ahmedabad.